A SCHOOLBOY from India who suffers from ‘Werewolf Syndrome’ dreams of defying his condition and becoming a policeman. 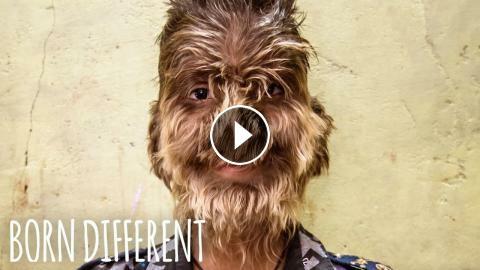 Lalit Patidar, aged 13 from Ratlam in the Central Indian state of Madhya Pradesh, was born with Hypertrichosis, a condition more commonly known as Werewolf Syndrome. This condition is characterised by abnormal hair growth on the face, arms and other parts of the body. Despite his condition, Lalit lives a happy life and dreams of one day supporting his parents by becoming a policeman. Goosebumps - The Werewolf & Slappy Are In Theaters Now!